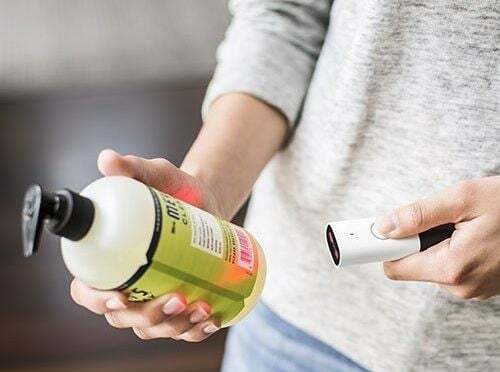 Amazon has released a new product they’re calling the “Dash Wand” which is an Alexa-enabled device aimed at helping you with ordering groceries, household essentials and asking basic questions by using just your voice. The Wi-Fi enabled Dash Wand is magnetic, allowing you to stick it on your refrigerator. The Dash Wand is just a few inches long and is made out of black and white plastic. It lets you scan item barcodes or use voice controls to add products to your shopping cart. It’s only $20 dollars, but if you happen to have an Amazon Prime membership, you actually get $20 in credit towards your purchases, making it essentially free. You also get a free 90-day trial of Amazon Fresh home grocery service, which normally costs $14.99 a month. All-in-all the Dash Wand looks pretty cool and if you happen to have a Prime Membership, there’s really no reason why you shouldn’t grab one. In fact, I think this move is genius given that Amazon is basically subsidizing the cost of the Wand to you because eventually, they’ll make much more money from your orders. If you’re interested, you can grab one here.